The Borough of Jim Thorpe is excited to announce that on Monday June 18, 2018, 7 new Solar-powered StradaPAL pay stations will be installed and ready to use on Broadway, Hazard Square and Susquehanna Street. Patrons can pay with coin, cash, credit card of through the “Whoosh” mobile phone application. According to police Chief Joe Schatz, all necessary training has been completed and everything is in place to begin using Flowbird’s Parkeon StradaPAL solar-powered kiosks, which will replace the borough’s 77 old coin-operated meters. Butts Ticket Company, a Flowbird Group partner, installed seven StradaPAL machines throughout Broadway, Hazard Square and Susquehanna Street in late April, however, they have been covered up as the borough makes the transition. “On Monday, there will be ambassadors here in town to help individuals get acclimated to the kiosks and, in particular, explain how the mobile app, Whoosh, that accompanies the machines, works,” Schatz said. Whoosh! 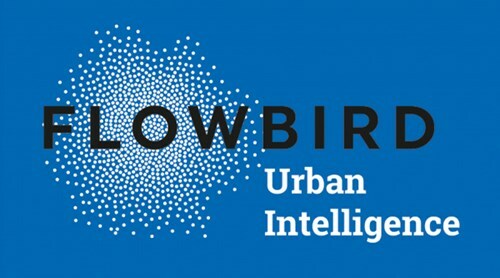 is a mobile parking payment solution app development by Flowbird. The app allows the user to pay for parking directly through their mobile device, including time expiration reminders and remote parking extension. After motorists park, they can follow signs to the kiosk stations and pay with cash, quarters, credit card or the app. Once the machine dispenses a ticket, the motorist can place it on their dash and be on their way. According to Mayor Mike Sofranko, the older meter mechanisms will be sold or auctioned off. Throughout next week, Jim Thorpe Public Works employees will be removing the old parking meters as well as erecting new parking signs. For more information on the Whoosh app, or how to download it, visit https://www.whooshstore.com.